Video displays are transforming high schools around the country. There are several features and benefits that makes them attractive investments. 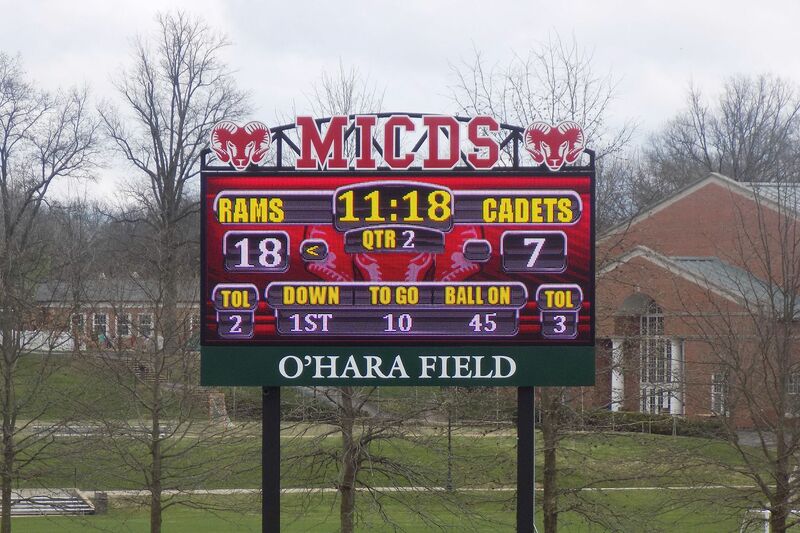 Utilizing your video display as your scoreboard allows you to customize each by using logos and colors, and easily adding team names instead of home and guest. A digital scoreboard also allows you to have sport-specific scoreboard layouts for each event. With Daktronics displays, you can even customize the amount of information you want to display on the universal scoreboard, allowing you to have more details for each sport or for varsity level. We live in a world of entertainment, with a fan focus. Oftentimes, the entertainment extends beyond the game itself. It can be hard to find the right balance between showing a score all the time versus maximizing the use of the video capabilities. But what about the players, coaches and referees who need critical information at a glance during the game? They can’t wait for the graphic to change when making a decision. Fixed digit displays have been the long-time mainstay in high school sports. There is no denying video’s place in the market, but what about having the best of both worlds to complement one another? By pairing fixed digit scoreboards and video displays, fans are entertained and the coaches have the information they need in one constant location. – do you want to gain revenue from sponsors? – do you want live video capability? – do you want the option to customize your content for each event? – is the main purpose of entertaining fans? – do you need to see the score at all points of the game? – would you enjoy an opportunity for student learning in the classroom? 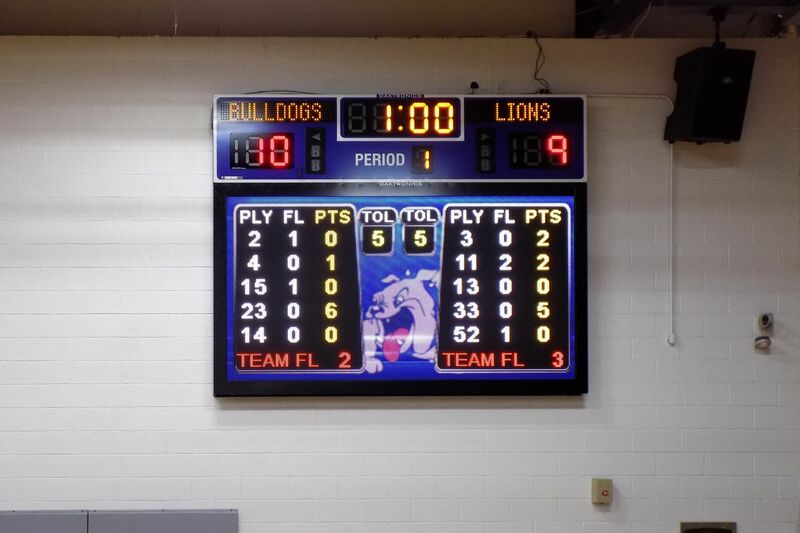 A Daktronics display is sure to bring a new level of excitement on and off the court.